The pen stops when I look back and think about Nainital as a pleasant, scrumptious and subtile town, set amongst cool Pine- clad hills with plenty of crumbling colonial charm. It was all about doing a 21days’ course for moving into another salary grade. The skilfully updated website of HRDC Nainital drew my attention and I chose it out of all the 66 HRDCs. A natural curiosity kept troubling me about my being in the selection list, about the place etc. Then the time arrived and after 35 hours’ long journey, finally I reached ‘The Hermitage’, my abode for the coming 21 days. I got mesmerised by the beautiful, well maintained campus. Soon I was allotted a clean, cosy room. As I reached one day before, none of my fellow participants were to be seed around. By the evening they started pouring in. Soon I was introduced to all 31 of them and I was happy to feel their positive aura around me. From day one of the class to the last day, I could feel the ease and comfort, the vibrancy and vivacity, they drove me into. Nothing could create hurdles, be it language, subject, different areas of interest and we were like a big family, enjoying studies and reliving our college lives once again in the lap of nature. Soon we were assigned tasks of project proposals, group discussion, micro-teaching and individual assignments. These tasks helped us to update ourselves with better teaching skills. The classes were innovative and informative. Our Directors left no stone unturned to benefit us academically. Variety of lectures were arranged on the theme ‘Science and society’ to enhance our existing knowledge. The course design and the course content was a complete success. Being a participant of Summer School 2015, we got an opportunity to meet personalities like Dr. Ajay Singh Rawat, Dr. Anand Sharma and many more such big signatures of their respective fields. My fellow participants were quite generous people to live with. We enjoyed each other’s company very much and yes, how can I forget those ‘Selfie Moments’. Evening were quite lively. We explored the beautiful Nainital, in our own way. A lot of sight-seeing, trekking, photography, enjoyment and learning to unlearn moments with nature were enjoyed together. It was so deeply impressive that I feel I carry the beautiful mountains, the Naini Lake and the generous people of the mountains forever in my heart. It would be quite unthoughtful on my part if I don’t thank enough our director Dr. B.L. Sah, a multitalented, down to earth and a lively personality, Dr. Reetesh Sah, a silent worker with a manifacted personality who always wore a shine in the eyes and a smile on the lips to keep us motivated and Dr. Divya Joshi. A heartfelt thank you goes to the office staff for all their cooperation and the kitchen staff for the lovely homelike food and also to each and every person who is associated with HRDC Nainital. Ah heaven!! I long to meet you again!! Mysterious are the ways of Action. The degeneration began earlier but now the stench is everywhere and democracy seems to be shackled by its fetters. Gandhiji had rightly remarked that there is enough for everyone’s need but not enough for everyone’s greed. Earlier it was said that human beings are the precious gifts of God, but now it seems that they are the worst blunders of Nature. The time has come to introspect ourselves and to redeem mankind from the strong urge of amassing material goods. Corruption free governance is a basic human right and it is now time to recognize the paradigm within which the entire question of harnessing the unlimited resources that can be released in a corruption free society for the marginalized populace in India. We have to contain our ecological foot prints to conserve the natural resources for the future generation. Law is a potent force to transform society but gradually its sheen has withered and authority waned owing to corruption. Secrecy is the main bulwark of inefficient administration and provides gist to the corruption mill. Transparency is the need of the hour and it is a hallmark of efficient administration. The Right to Information Act, (RTI) 2005 in this regard is a light of hope which can spread in all directions to dispel the darkness of secrecy. It can act as a catalyst to facilitate the onset of a new value system, a new environ of hope in the changing scenario. RTI will herald the soft rains of rejuvenation to establish a better society and will outlast the storms of corruption. Good governance and transparency are two important features of democracy and an open government is one which does not or should not hide anything from the citizens thus strengthening the link between the State and the citizens. Gandhiji had said that “ The Real ‘ Swaraj’ will not come not by the acquisition of authority by a few but by the acquisition of capacity by all to resist authority when abused.” In this context RTI is one of the most important human rights as it imparts us to seek information from a very large, complicated and powerful machinery, where the operators hide their vile practices under the veil of secrecy. Unfortunately various colonial laws such as the Official Secrets Act, the Indian Evidence Act etc all help in suppressing information. In India RTI was enacted in 2005 to make it a real democracy, where every citizen is informed of the activities the government is undertaking and is invited to take part in it. It should be provided to each and every citizen of the country to maintain transparency and openness in the government. 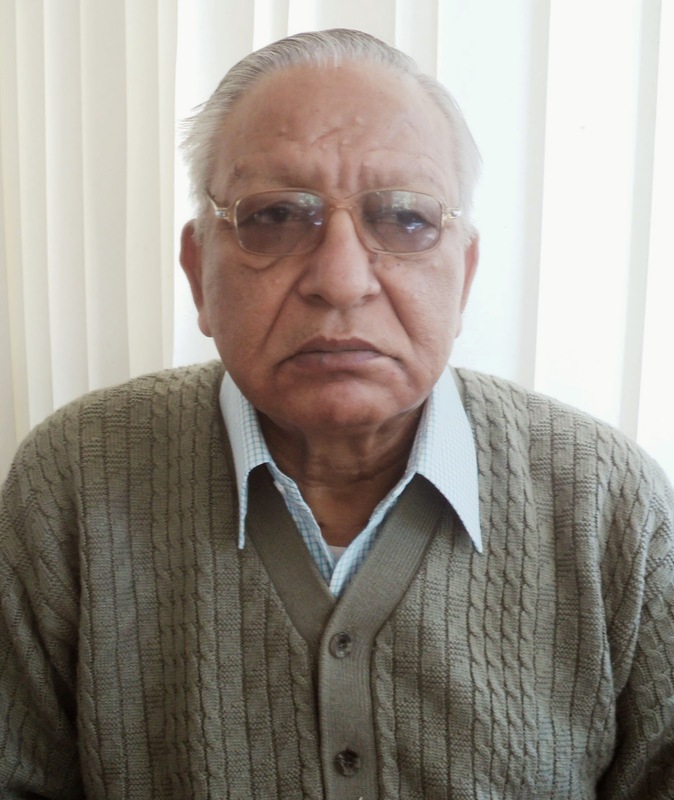 In Uttarakhand the preparatory activities for mainstreaming of the RTI Act had commenced on June 2005 when Dr. R.S.Tolia was the Chief Secretary. 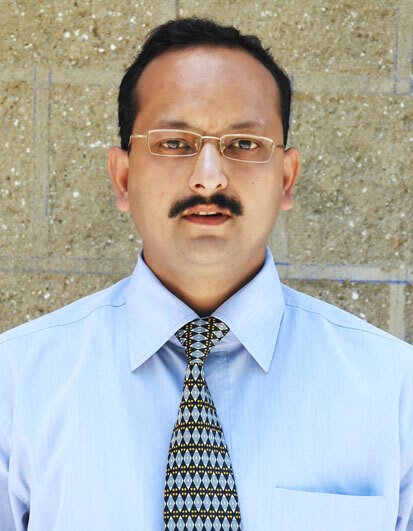 Concomitantly a head start was taken from the same date itself and has been followed up after he took over charge as the first Chief Information Commissioner of Uttarakhand in October 2005. Regarding the importance of the RTI Act, he has aptly commented that, “An introduction and orientation about the provisions of the RTI appears to me a necessity. Further, the RTI Orientation is required not only for the higher echelons of our administration equally, if not more, for the functionaries of the village, block, sub-division and district levels and even for the NGOs.” He enabled successfully in persuading the Government of Uttarakhand to consider the RTI as a powerful instrument to usher in administrative reforms and change its nodal department from the Information Department to the General Administration Department (GAD), which includes Administrative Reforms, there being no fill department for the latter. A Hand Book has also been prepared by him for Public Information Officers under the RTI Act. This Hand Book highlights several administrative reforms, which can be brought about through an effective implementation of the RTI Act. The RTI has been, and is being used by either individuals or organizations, which have not only led to retrieving of information but also facilitated in bringing about a positive change. (1) In Naini Tal a residential colony and two offices were being constructed in a Public Park near the Hanuman Garhi temple complex. 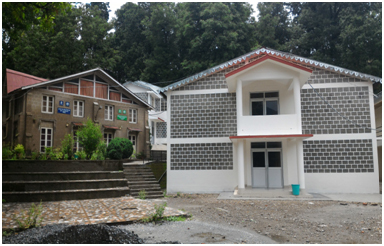 In the beginning the citizens of Naini Tal were told that two small rooms to be used as godowns were being constructed by the Forest Department. But on witnessing the construction site and the intensity of construction, doubts were raised and the people felt that the department is camouflaging the actual construction work. Subsequently under RTI information was sought and the facts that came out were chilling. Actually two offices, one of the Divisional Forest Officer and one of the Range Officer were on the anvil. Together with this one type v, one type iv and 32 type two residential complexes were to come up. It was against the direction of the Hon’ble Supreme Court, Writ petition No 694 of 1993 decided on 9th March 1995. In the judgment of the writ it had been clearly directed that group housing is totally banned in Naini Tal. 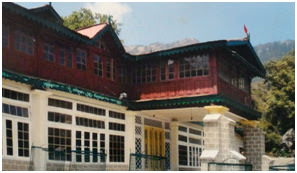 The Brijendra Sahai Committee, constituted by the then Chief Secretary of UP, Mr, Brijendra Sahai had also given similar directions and added that no official buildings should be constructed in Naini Tal owing to the eco-fragile nature of the town and because the carrying capacity of the town had been saturated. The public park is located in the watersheds of Nihal and Ballia and the very existence of Naini Tal depends on these watersheds. The coming up of two offices and a residential colony would have accentuated further the ecological threats of the area. In this regard several applications were sent to the Hon’ble Chief Secretary of Uttarakhand, Secretary Forest and Environment, Chief Conservator Kumaon, District Magistrate Naini Tal and the following memorandum under RTI was submitted to the Divisional Forest Officer, Naini Tal Forest Division. Subject: Unsafe group housing in the Public Park in Hanuman Garhi temple complex. 1 The complex that the department is constructing tantamounts to group housing which is not permitted in Naini Tal according to the Writ Petition, No. 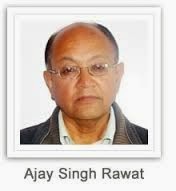 694 of 1993, Dr. Ajay Singh Rawat versus Union of India and others, decided on March 9,1995. In the decision it has been clearly directed that, group housing and commercial complexes are absolutely banned in Naini Tal. Geologist had to submit the report under duress. It is extremely redundant and the geo- technical aspect has not been touched by him. It is just a description of the slopes without mentioning the level of stability. The report does not throw light on the ground realities. Several thrusts pass through the construction site especially the Manora Thrust. The rocks are highly crushed, sheared, cleaved, criss- crossed and prone to land slides. According to Professor K. S.Valdiya and the Geological Survey of India, the area is very prone to land slides. Professor Valdiya’s assessment is that it is the most fragile area of Naini Tal. Your geologist has mentioned that no construction should be done on the eastern, western and northern part of the park; however the southern part according to him is safe. The ground reality is that the whole site is unsafe and the southern aspect has already caved in by twenty feet owing to which the line through which the total sewer of Naini Tal town passes could not be aligned since last one and a half year. Consequently the sewer can be seen cascading down the hill slope round the clock. The Geological Survev of India has also mentioned in its report to the Jal Nigam regarding the repair works of the sewer line that heavy construction should not be permitted because the area comprises 98 % sand and gravel and 2 % shattered rock. Similarly in Civil Appeals Nos. 9323 25 of 1994 decided on July 26, 1999 of construction done in Jhandewala Park in Lucknow, demolition orders were passed and also executed. The Forest Department will not only endanger the lives of the people who (IF), will reside there but also of the people living in the downhill villages and townships. Finally the myopic decision will endanger the very existence of Naini Tal township because the construction site is located on the right flank of Ballia Nullah through which the outflow of the lake water passes and ultimately gets disgorged in the Ballia Ravine. I hope you shall comprehend the gravity of the situation and under RTI could you kindly explain why this myopic decision has been taken? I hope you shall kindly recommend to the government the ecological sensitivity of the area to kindly cancel the orders for construction immediately. Copies to: 1. 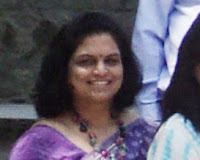 District Magistrate Naini Tal. The forests of the park area are very rich in biodiversity and large scale construction will have a detrimental impact on the biodiversity of the area. 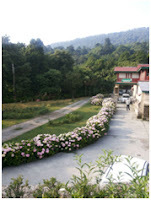 It is a haven for migratory birds and the park has assumed a great importance for its panoramic sun set views. Here the sightseer drinks at the enchanting beauty of nature, the poet finds avenues of inspiration and the painter thrills at the tempting prospects of his canvas. In between a Public Interest Litigation was also filed against the construction in the Hon’ble High Court of Uttarakhand, Writ Petition No. 603 of 2006(M\B). The writ was however dismissed, but the sustained efforts of the people using RTI as a tool brought fruitful results. The gravity of the situation was soon perceived by the Forest Department and their approach also facilitated in stopping the construction by the Uttarakhand Government. (2) The policy makers and planners seem to be oblivious regarding the ecological hazards and the very existence of Naini Tal. In April 2006, the Lok Nirman Vibhag against the wishes of the people started widening the 2 km length of a bridle path from the Himalayan Zoo to the octroi post in the Pines area for vehicular traffic. This path had long been long abandoned after the construction of the motor road between Bhowali and Naini Tal. During the British period, people going from Naini Tal to Bhowali used to negotiate this bridle path or it was used by the field staff of the Forest Department. There are no buildings in the area as it is flanked on either side by a Reserved Forest and the Cantonment Forest. The portion demarcated by the department for the construction of the road is geologically very sensitive and in the catchment area of the Ballia Nullah and the Ballia Ravine. The average breadth of the bridle path is between 5 feet to seven feet. The construction of the motor road would have involved cutting of the narrow hillside for retaining walls, breast walls, side drains and drains etc. Subsequently trees would also have been felled and green felling above 1000m in the Himalayan region is banned. In the Lesser Himalayan region it is estimated that in a km length of road about 60 to 80 matured trees are felled and 40 to 80 thousand cubic metres of debris is generated in a km length of road and all this debris is dumped on the hill slopes, which kills the saplings and the ground vegetation and the natural springs are choked.. Further the road would not have of been of public utility and the surreptitious approach with which it was being orchestrated made it obvious that it was for the convenience of an individual as alleged by the people. The vehicular traffic if the road was constructed would have aggravated the landslides in the area as it is already prone to landslides and in some sites the gradient of the slope is more than 70 degrees. (i) Whether Environment Impact Assessment and Environment Impact Statement, which are mandatory, have been prepared for the project to be launched. (ii)The motive behind the construction of the road and the reason for not taking clearance from the Ministry of Forest and Environment Government of India, New Delhi and the Cantonment Board before the commencement of the project was also sought. (iii) How the road was being constructed in the catchment area of the Ballia Nullah and the Ballia Ravine, which are very fragile and will endanger the very existence of the township of Naini Tal? The department did not bother to reply in consonance with the queries and after the stipulated period of one month the project was silently and abruptly dropped. (i) In view of forest as defined by the Hon’ble Supreme Court, no permit should be issued without prior permission by the Government of India. (ii) No mining permit would be issued within 100 metres circumference ( belt) of forest area. (iii) Before issuing mining permit No Objection Certificate be obtained from the Divisional Forest Officer. 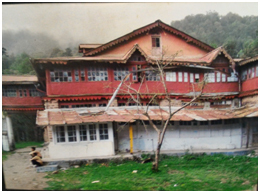 On December, 9, 2005, the Executive Engineer of the Jamrani Dam Construction Wing had also reported to the District Magistrate, Naini Tal that owing to the illegal mining the existing buildings of the government and the Field Hostel have been damaged and other buildings can be can also be damaged if the illegal mining continues. He had also requested that illegal mining should be stopped immediately and had cited the earlier letter of the Executive Engineer of Jamrani Dam, dated, 22.11.2005, reference no.1853\ Jamrani-1 and of the Superintending Engineer, Irrigation Department, Haldwani Division, reference no. 2966 in this regard. To put a ban on mining, the new District Magistrate was requested on 25. 5. 2007 and total information regarding illegal mining was furnished to him. Before this under RTI, details were collected from the Divisional Forest Officer, Naini Tal. It was found out that mining permits had been issued to private parties\ individuals by the Uttarakhand Government on the recommendations of the district administration. In the three villages, Bhoursa, Amiya and Raushil the amount extracted between July 2006 to May 2007 was 88,497.74 cu. m, 1,21,191.73 cu.m and 35,041.00 cu.m. respectively and it is alleged that the private parties were not mining from the areas allotted to them but from other sites. Similarly the new District Magistrate banned mining by private parties in the river bed of Nihal. In the past mining had been stopped in the river Nihal because it had eroded the river banks owing to lateral cutting and valley deepening. But it was again permitted in 2007. On 29th May 2007 the residents of the village Dhapla submitted a memorandum to the District Magistrate in this regard as mining was having a diabolic impact on the very existence of the village. The residents of the village Dhapla are marginalized peasants and the majority of them belong to the Scheduled Caste. Already a large chunk of agricultural land of the village had been washed away by the vagaries of inundation when the river was on spate several times in the past. Subsequently a letter was submitted on 30th May, 2007 to the district administration under RTI in this regard. The decision of the Hon’ble Supreme Court was also forwarded with the plea that the Irrigation Department and the Forest Department have initiated Treatment Projects to save the area from the precarious situation and the ecological disturbances. Currently the District Magistrate has put a ban on mining in the region. The Bhopal disaster and other major accidents involving hazardous chemicals and release of toxic gases in industries brought ‘Major Hazard Control’ into sharp focus. Fire, explosion and release of toxic gases can cause deaths and injuries to workers and the people living in the vicinity of industrial installations. It also has an adverse impact on the environment. Prevention and control of major hazards have subsequently become an issue of high importance throughout the world. But the Uttarakhand Government is oblivious of the fact, which is alarming. According to the Ministry of Forest and Environment Notification, 1st August 1996, which deals with the rules on Emergency Planning, Preparedness and Response for Chemical Accidents, the State Government shall have a State Crisis Group and constitute District and Local Crisis Groups within 30 from the date of commencement from these rules. The State Crisis Group shall be the apex body in the State to deal with the major chemical accidents and to provide expert guidance for handling major chemical accidents. It will review all district of f site emergency plans in the State with a view for examining its adequacy in accordance with the Manufacture, Storage and Import of Hazardous Chemical Rules and forward a report to the Central Crisis Group once in every three months. The State Government shall also constitute District and Local Crisis Groups. The District Crisis Group shall be the apex body in the district to deal with major chemical accidents and provide expert guidance for handling chemical accidents. The District Crisis Group shall meet every 45 days and send a report to the State Crisis Group. The Local Crisis Group shall meet every month and forward a copy of the proceedings to the District Crisis Group. This notification is very important for the new State of Uttarakhand that is focusing on industrial development as an important source of revenue. through appropriate channel. In Uttarakhand the power to inspect the industrial units has been given to the Chief Inspector Boiler and Industries. The safety of the workers in the industries and the local populace has taken a back seat in Uttarakhand. For the safety and evacuation of the workers inside the industries, an Onsite Emergency Plan has to be prepared. For the protection of the local population residing outside during mishaps, there has to be an Offsite Emergency Plan. In Uttarakhand the Industrial Policy is silent about these precautions. Once in every six months there has to be a rehearsal on site under the supervision of the Factory Inspector or the Chief Inspector, but this procedure is not being followed. The disdainful attitude of the department led to the catastrophe on 1st May, 2006 in which 11 labourers died in the Shyam Paper and Board Mills Ltd in Kashipur. The callous approach of the administration and the mill owner can be gauged from the fact that on 21st April, 2006 the mill owner was permitted to store 150 metric tons of sodium chlorate by the administration against the optimum storing capacity of 50 metric tons. As the storing capacity of the factory was disproportionate to the storage area, sodium chlorate was stacked allegedly at unsafe places, in between gas cylinders too. This negligence of the authorities thus resulted in the diabolic catastrophe. It is alleged that hitherto no compensation has been awarded to the families of the deceased. In Uttarakhand there is no mechanism for maintaining a record of accidents in the factories. In other states if a worker does not report on duty for forty eight hours even after a minor injury, it is notified and mentioned in a prescribed format and reported to the Inspector of Factories duly signed by a competent authority of the factory. Boilers in industries are very important for the safety of the workers inside the factories and for the local population residing outside. If they explode, they will have a diabolic impact both inside and offside. The importance of the Boilers Act has still not been understood and the Boilers Rules have not been framed in the State hitherto. If there is any mishap then there is no legal validity of the State for taking any action against the industry and providing compensation to the victims. Again the Chief Inspector, or the Director General of Factory Advice and Labour Institute or the Director General of Health Services or any other officer as may be authorized in this behalf by the State Government may, at normal working hours of a factory, or at any other time as found by him to be necessary, after giving notice undertake safety and occupational health surveys including examination and testing of plant and machinery and collection of samples and other data relevant to the surveys. 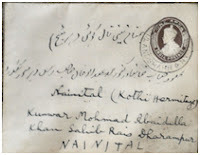 For the purpose of facilitating such surveys, every worker if so required, shall present himself to undergo such medical examinations as may be considered necessary by such person and shall furnish all information in his possession and relevant to the survey. However, as there is only position of the Chief Inspector, it is not humanly possible for him to undertake such surveys. Industrial development is adversely affecting the physical environment of the region. The State Industrial Development Corporation of Uttaranchal Limited (SIDCUL) is allotting the most fertile agricultural land in Tarai to big industrial houses on a lease of 90 years at very cheap rates. The Tarai region in Kumaon has been a torch bearer to agriculturists in other parts of the country. It was famous as the agricultural bowl of Uttar Pradesh. But with the formation of the new State of Uttarakhand, agriculture seems to have become a back burner in this fertile belt. Instead of promoting agriculture, industrial development is being given a fillip on the most fertile lands. This land use change will not only have a detrimental impact on agricultural growth, but it will disturb the socio-equanimity of the region. Already fissiparous tendencies have started surfacing to a certain extent and there is a lot of resentment, both amongst the kulaks and the peasants. The local people are peeved by the fact that the industries, which came up in the recent past, the overwhelming majority of them are owned by outsiders. They are particularly miffed because many of them were aspirants, but for the reasons best known to the authorities, they were not favoured. Under RTI, the Industries Department informed that the land, which was leased to Tatas was at the rate of Rs125\ per sq mt, Bajaj, Rs. 700\ per sq. mt. Nestle Rs 560\ per sq. mt. and Dabur at the rate of Rs 560 per sq. mt. The land leased out to these industrialists is, Tata 394.97 ha, Bajaj 24.6 ha, Nestle 9.84 ha and Dabur 6.8 ha. These outside entrepreneurs allegedly have brought their own men to man different levels of production processes. Even as labourers, the locals are least favoured, because of their capability to counter the high handedness of the employers. Thus the local people feel like having been cheated. Further, these new industries have started a new trend of employment. They have adopted a strategy of keeping the maximum work force under the contract system. The manpower working under the contract system has to put in the same results as are expected from the permanent working force coming under the company rules. The workers under the contract system do not get the same benefits as available to the permanent work force. Thus these big industrial houses are knowingly creating a perpetual gap between the two types of employees. The system in the long run will be beneficial to the company management. But it is an open mockery of the basic policy of Directive Principles enshrined in our constitution to ameliorate the socio- economic condition of the deprived sections of our society in a rational manner. In the Lease Deed it has been clearly been mentioned that, “That the Lessee shall establish at its own cost an appropriate and efficient primary effluent treatment system\ plant and shall ensure that it is ready and functional as per the norms and specifications, laid down by the State Pollution Control Board or any other authority established by laws for the time being in force before production in connection with the unit proposed to be set up on the Demised Land. All effluents generated from the Lessee’s Primary Effluent Treatment Plant shall necessarily be discharged into the Waste Water Collection System.” However the residents living in close proximity to the industries allege that the procedures are not being followed. 1 Stone Crushers will be at least 500m from educational institutions, hospitals places of worship, bridges and canals. 2 For being pollution free, a No Objection certificate will have to be obtained from the State Pollution Control Board. 3 The Revenue Department will give a No Objection certificate with the intent that the proposed site of the Stone Crusher will be at least 500m away from the forest area, main roads, National and State Highways and the average distance between two Stone Crushers will be 500m. These rules are however openly being flouted. The productivity of the agricultural land in close proximity to Stone Crushers is declining rapidly and the marginalized farmers are forced to sell their land to the owners of Stone Crushers at throw away prices. The Stone Crushers located near forests are responsible for destroying the forests as alleged by the local people. The dumpers, which ferry stone from the river beds to various Stone Crushers drive at break neck speed to negotiate more trips and earn more profits. Thus they are the main cause of accidents and further enhance the chances of accidents by littering the roads with stones, which roll down from the over loaded dumpers. The residents of the townships of Lalkuan and Kichha allege that water pollution in the region owing to the Century Paper Mills in Lalkuan has taken toll of domestic animals and monkeys of the area. The people of Bindukhatta in close proximity to the mill allege that the effluent is disgorged mostly during the night time and owing to the foul odour they cannot sleep. It has also polluted the water bodies. Further the emission of smoke from the chimneys and fine ash is causing air pollution. The ash enters the houses and also settles on the roof tops causing respiratory diseases. The people allege that they have staged several dharanas and organized mass rallies against the pollution, but the administration has turned a Nelson’s eye towards their predicament. On 3rd November, 2005, the factory management signed a memorandum with the people that the air pollution shall be contained and the nullahs, which disgorge the effluents, shall be put underground but to this date, almost after two years no action has been taken. Apart from the Century Paper Mills another factory against which there is tremendous resentment is India Glycol Ltd. in Kashipur. The villagers living around the factory complain that when the land was being purchased for the factory, they were assured of employment, but the factory management did not keep its promise. Another contention is that when the factory was being installed, the villagers were hood winked and it was wrongly shown that there is no habitation in the area sited for the factory. Ever since it came into production, the people living around complain that the factory is disgorging its effluent in the rivers Kosi and Bahella, between which it is located. Several agitations have been staged by the residents of the Swar Tahsil in the adjoining Rampur district, which have to bear the brunt of pollution. This has affected the productivity of the villages around the factory and its negative impacts are also being felt on human and animal population even in far flung places as the Swar Tahsil. The Bajpur Cooperative Sugar Factory is also causing excessive pollution in the area.Burning bagas generates the power used by the factory. It causes emission of smoke, fine ash and ash flakes about 2cm long from the chimneys. The waste being discharged is polluting the sub-soil water. It also creates pools of dirty water, the breeding ground for the mosquitoes. A writ petition was filed against the Central Pollution Board in the Hon’ble High Court of Uttarakhand against the State of Uttarakhand, Writ Petition No.1264 (MB) of 2004. Even after the directions of the Hon’ble High Court, the factory has not yet installed a treatment; nor has it taken any initiative for bio-composting trade effluent and for achieving zero effluent discharge from the unit. In the report it has also been mentioned that small units and distilleries operating in Bajpur and Kashipur too are responsible for polluting the river Ramganga. These units are Cheema Paper Mill, Multival Paper Mill, Naini Paper Mill, Banwari Paper Mill and Siddheshwari Paper Mill. About Century Paper Mill and Chaddha Paper Mill it has also been mentioned in the report that these units are also the source of water pollution. The State Pollution Control Board under RTI in its letter dated 26. 6. 2007 has also admitted that the Total Suspended Solids, BOD and COD levels in several industrial units in the Tarai region has crossed the permissible limits. These units are, Vishwarkarma Paper Mill, Bajpur, Banwari Paper Mill Private Ltd, Kashipur, Siddarth Paper Mill, Kashipur, Multiwal Pulp and Paper Mill and Bajpur Sugar Cooperative Factory. Similarly the effluents released by the mills has led an increase in the Biological Demand (BOD) levels, an indicator of the amount of oxygen required by micro organisms to decompose organic matter in water by 10 times the permissible limit. The State Pollution Control Board has declared that the rivers, Dhella, Bahella, Kichha and the Pilakhar rivers unfit for human consumption. With rapid industrialization, the BOD level of river Kalyani downstream at Pantnagar has gone up six times the value measured upstream. Kalyani is at the downstream of a cluster of chemical, petrochemical, polymer, plastic, pharmaceutical and other polluting units. But no action has been taken by the State Pollution Control Board against these polluting units as alleged by the residents of the area. The only relieving factor is that through RTI the real situation of the state of affairs has come into focus and in the near future action can betaken against them. During the last decade there has been an increasing recognition that access to information on environment, including information held by public authorities, is key to sustainable development and effective public participation in environmental governance. The issue was first substantially addressed in the 1992 Rio Declaration on Environment and Development, in Principle 10. Environmental issues are best handled with the participation of the concerned citizens, at the relevant level. At the national level, each individual shall have appropriate access to information on hazardous materials and activities in their communities, and the opportunity to participate in decision making processes. States shall facilitate and encourage public awareness and participation by making information widely available. Effective access to judicial and administrative proceedings including redress and remedy shall be provided. Recognizing that every person has the right to live in an environment adequate to his or her health and well being, the day is not far of the through RTI this objective shall soon have wings and the world will be a better place to live in.